The firm, NextBlock Global, will be exclusively focused on investments in the digital asset space. 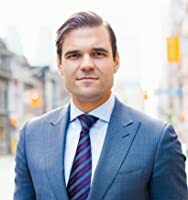 Tapscott, a former investment banker, will be joined by Charlie Morris as Chief Investment Officer. “We are delighted with the outcome of this financing and we are ready to lead in this fast changing and disruptive marketplace,” Tapscott said. NextBlock will immediately begin to deploy capital, he added. NextBlock Global is based in Toronto, Canada.